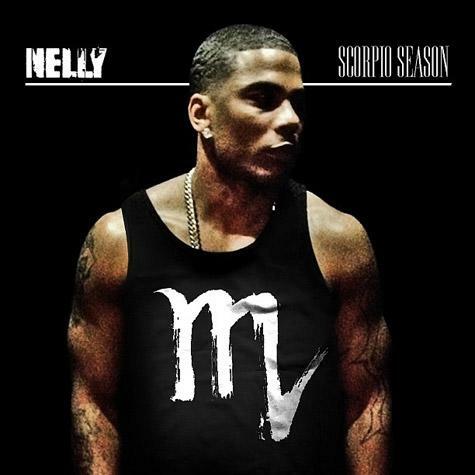 Listen to Scorpio Season, the latest tape from Nelly. It dropped on Friday, November 2nd, 2012. 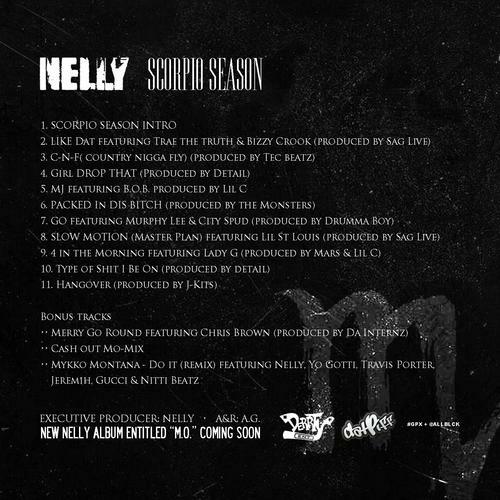 Nelly's future brightens with every new release, and Scorpio Season certainly isn't an exception. 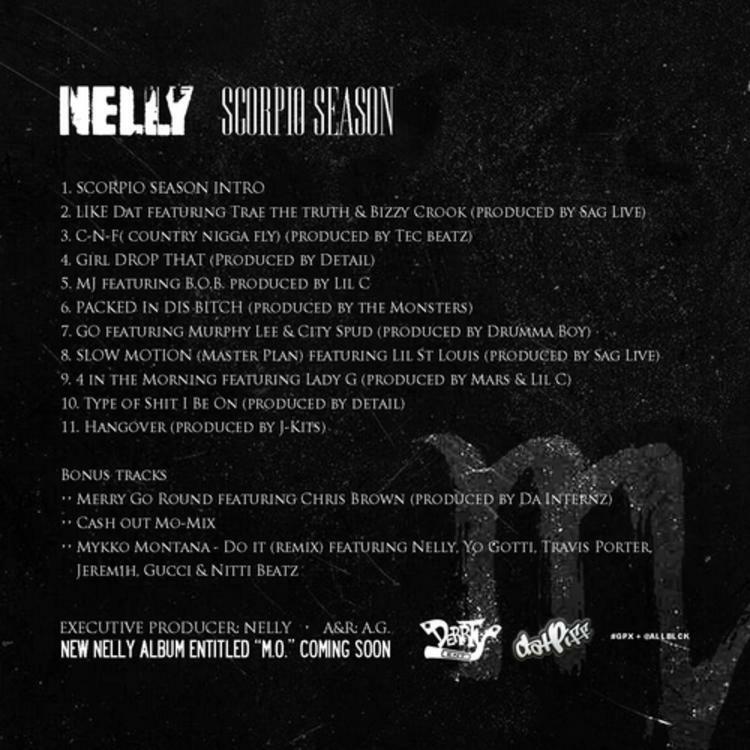 It's a fitting addition to a solid catalogue that Nelly has been developing since stepping foot in the game. We're excited to hear more. These artists contributed to the mixtape: Trae Da Truth, Bizzy Croo, Murphy Lee City Spud, Lil St Louis, Lady G, Chris Brown, Yo Gotti, Jeremih, Gucci Mane. These producers contributed to the mixtape: J Kits. Hear more of Nelly on Girl Drop Dat Boom (Prod. By Detail). If you dig this, visit Nelly's profile for the latest info, news, songs, and mixtapes. Don't forget to follow Nelly on Facebook and Twitter.